Buyers Guides, Manufacturer's Warranty Still Applies, 2 part NCR. Required by law for consumer protection on used vehicles, this form meets federal regulations for Manufacturer's Warranty Still Applies. 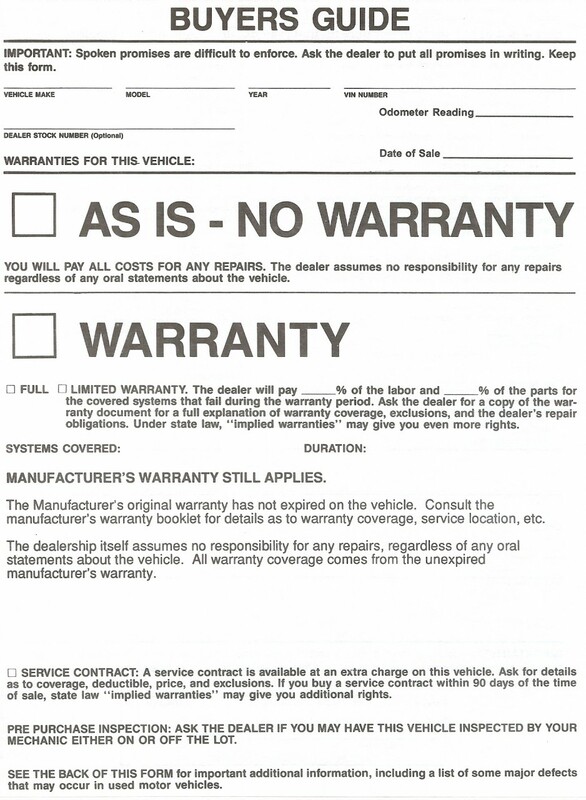 This form is to be used when Manufacturer's Warranty Still Applies to the vehicle being sold. Note: this form also has a box for As Is No Warranty. On the form: Manufacturer's Warranty Still Applies, The Manufacturer's original warranty has not expired on the vehicle. The dealership itself assumes no responsibility for any repairs. Service contract available.